Welcome home! The flowing floor plan, custom features, and charming character of this home will never go out of style. Being located in a wonderful neighborhood with easy access to GA 400, I-85, and Peachtree Parkway makes virtually all commutes a breeze. You’ll also have easy access to the highways, byways, and activities that make this location such a well loved destination! Being in this popular area of Alpharetta means you can enjoy many nearby restaurants and shopping spots too. To top it off, this home is also located in a top school district! -Located in a quiet cul-de-sac. -Kitchen features stainless steel appliances, exotic granite counters, oversized island with breakfast bar, and pantry. -A beautiful exposed beam separates the kitchen from the den which has a cozy gas fireplace. -Spacious master bedroom features a vaulted ceiling, walk-in closet and bathroom with double vanity, garden tub, and separate shower. 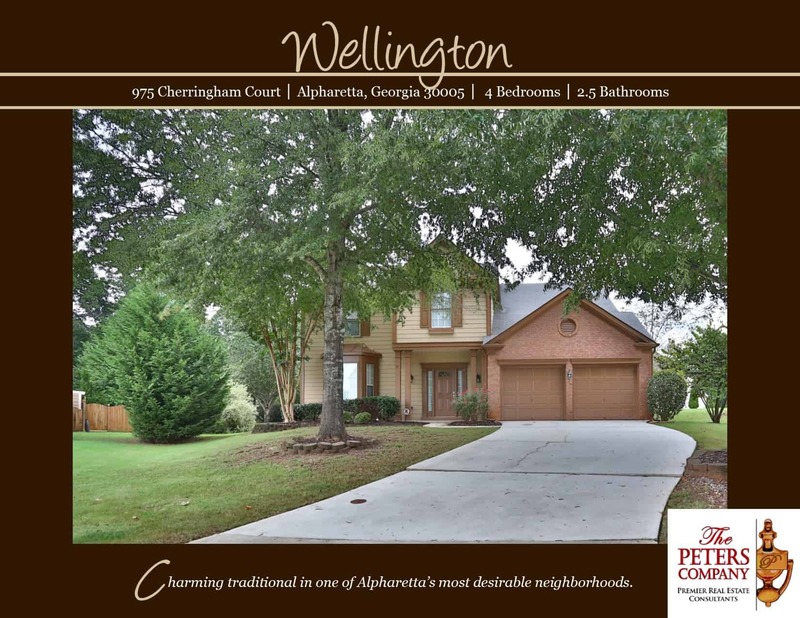 -Four legged friends will enjoy the large, park-like backyard. -Wonderful community amenities include a pool, tennis courts, clubhouse, and playground. ← Congratulations, Cindy on your Bridgetown new construction home! !